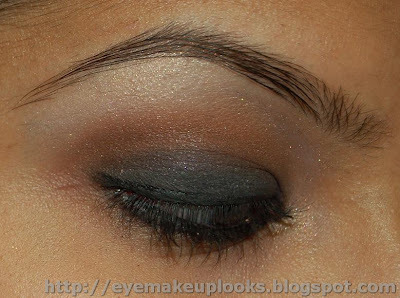 I have been wanting to try a "matte" smokey look in a while inspired by this picture...I finally did one today. How did I do? why did i never think of something like this?????? it looks truly smoked out and charcoal-ey. wow! gotta try this out! its lovely! can u show us your complete look with blusher n lipstick..i think it much better that way..i lurve your creativity..